Various business models of research publishing and diverse ways of distilling research data determine the accessibility to publicly funded research. This subject is hotly debated. What are the stakes? The "pay to publish and read" business model is the main offer to researchers and society. This system has come under intense scrutiny in the past decade. Is it good for society if readers are required to pay subscriptions to access the results? The Office of Economic Co-operation and Development (OECD) has estimated that the world spends over US$ 2 trillion p.a. of tax-payer money to fund research which produces over 2.5 million peer-reviewed articles p.a. These articles are published in over 24,000 journals. Over 80% of these "fruits of research" are captured and (re-)sold by the subscription journals. "Even Harvard, the university with the largest journals budget of all, cannot subscribe to all journals, and most other universities have far smaller journal budgets", says Steven Harnad, a pioneer of the Open Access movement. In subscription journals, researchers hand over their rights to access their articles, provide these journals a free peer-review service, and often pay extra charges to publish their work - even then they are required to pay to read their own articles. The subscription model is therefore considered the most ingenious business model: peer-review service for free, ownership of priceless content at no charge, authors made to pay for extra publishing costs, authors compete with each other to give away their material and rights, and content sold back to the authors. When a journal becomes popular with high impact, subscriptions rise as expected from a supply and demand market. Managing the submission and review process, processing the articles for publication, printing and distributing a high quality journal involves cost. But is the restriction of knowledge for society justifiable? Does it have a place in the 21st century information and knowledge society? The dominance of subscription-based research access in the publishing industry has been mainly secured because of the need for researchers to "Publish or Perish". Established publishers provide a measure of quality, which is judged today by their Impact Factor. A journal's Impact Factor shapes researchers' choice of publisher because it gives greater visibility and automatic credit. 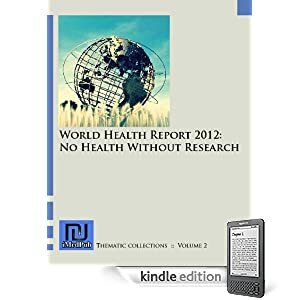 New journals are created for those articles that do not manage to get into the high impact journals, which has led to what has been called the "serials crisis". The serials crisis reached a threshold in the 80's resulting in worldwide protest by libraries. Open Access publishing models were thus born: "a digital, online, free of charge, and free of most copyright and licensing restrictions", says Peter Suber, Open Access project director at Public Knowledge. According to John Willinsky, Professor at the Stanford University School of Education and a major Open Access activist, the definition and the core principle of Open Access publishing lie in the following statement: "A commitment to the value and quality of research carries with it responsibility to extend the circulation of such work as far as possible and ideally to all who are interested in it and all who might profit by it". For Willinsky, the scholarly community should morally take an oath, as do physicians, that they must disseminate their research to the widest audience possible. Willinsky's ideal commitment for the way scholars should consider the value of their research, resulted in various major actions throughout the history of the global Open Access movement. The scholarly publishing revolution by libraries took place in the context of a crisis and was helped by the Internet boom that allowed the sharing of information in a completely new way. Research libraries spent 2.7 times more for serials during 1998-1999 than during 1985-1986, yet purchased 6% fewer serial titles. Journal prices increased 215% between 1986 and 2003, while the consumer price index rose just 68%. This publishing state of emergency spurred libraries and researchers from different leading Open Access scholarly disciplines such as physics, mathematics, medicine, and neuroscience to reclaim their right to scientific literature by using innovative communications tools. Between 1991 and 1998 researchers and libraries created a panel of online web-based repositories to archive research articles and provide access to all the international scientific community - among those, ArXiv (www.arxiv.org) the first Open e-print archive server, was set up in 1991. Open Access advocacy groups such as SPARC (www.sparc.org) began to emerge. This was soon followed by Open Access journals and archiving initiatives. Most notably was the launch of the Public Library of Science (PloS, 2001; www.plos.org) and Pubmed Central (2002; www.pubmedcentral.nih.gov). Since then, more than 2131 Open Access journals have been launched across many disciplines by researchers, foundations and companies. These are now listed in a Directory of Open Access Journals (www.doaj.org). The research community has become pro-active in the way they want to see their research published. The most recent actions in the history of Open Access that transported the movement beyond specialized scientific communities into the political arena, is a series of Open Access Initiatives during the early 2000's. The Budapest Open Access Initiative (www.soros.org/openaccess) conference launched in 2002 by the Open Society Institute (www.soros.org) sponsored by philanthropist George Soros, led the way to international awareness and positioning in favor of the Open Access movement. A growing commitment by the international community to tackle the issue of availability of publicly funded research results, and to minimize influence of commercial lobbies, has been formalized in community statements laying out a global wish, policies and guidelines. In 2002, UNESCO launched "Information for All" (www.unesco.org), an intergovernmental program facilitating universal access to information and knowledge. Two additional statements in 2003, after the Budapest statement, declared the deepest possible support from the international scientific community for the values of the Open Access movement: The Berlin Declaration on Open Access to Knowledge on the Sciences and Humanities (http://oa.mpg.de/openaccess-berlin/berlindeclaration.html), and the Bethesda Statement on Open Access publishing (www.earlham.edu/~peters/fos/bethesda.htm). On January 30, 2004 the OECD Ministers of Technology and Scientific Research endorsed the "Declaration on Access to research data from public funding" concluding that governments should enhance access to research data financed by taxpaying societies in order to establish and optimize a fair benefit between what the general public invests in terms of research funding and how freely they can access these results. Finally, The World Summit on the Information Society's Declaration of Principles repeated the support for Open Access from the international community. The principle states: "We strive to promote universal access with equal opportunities for all to scientific knowledge and the creation and dissemination of scientific and technical information, including open access initiatives for scientific publishing." Despite the succession of all these historical and emblematic declarations promoting Open Access philosophy and further stressed by the involvement of the public policies, the conventional channel of research publishing still remains the dominant means of disseminating scientific results. Commercial actors still oust Open Access players in the market share, a situation that can be explained by different factors. 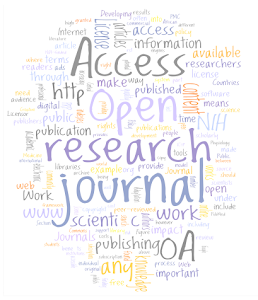 Publishing habits and lack of knowledge of Open Access in the scientific world are among the reasons that sustain the gap between OA and traditional publishers. The OA publishing methods have to face publishing customs that, till today, firmly lie in the belief that only well established publishing houses with the most read journals provide good Impact Factors. This conviction is not completely wrong, especially for young researchers at the dawn of their careers, who are publishing their work for the first time. This is despite several studies showing that publishing in Open Access journals implies more article visibility and hence a higher "article impact". Other studies such as the one carried out by the German Research Foundation and the one prepared by Key Perspectives Ltd for the UK JICS Scholarly communication group in 2007, also seems to indicate the lack of knowledge about Open Access in the scientific community and that awareness varies among disciplines. In addition to these handicaps, the Open Access movement also faces subtle pressures. The UK Ministry of Commerce for example, rejected a report drafted by the UK Scientific and Technical Committee of the Chamber of Representatives in 2004 to make Open Access mandatory to all universities and research councils. Were commercial pressures applied? The Open Access movement still has a lot to do before making this publishing model a generality rather than an exception. Work needs to be done to inform members of the scientific community who are still not familiar with Open Access publishing and self- archiving. Most of all, the issue of availability of publicly funded research, that has now become a passionate topic of political debate, needs strong advocates. Scientific societies are in a key position to contribute to this global change, but in most cases are too grounded in 20th century traditions. Universities and libraries are leading the way as they exceed budgets far before they can obtain access to all the research needed. Governments and foundations are starting to require Open Access to the results of the research that is funded by them, but face opposing pressures from commercial interests. With the advent of radically new Internet technologies and a new generation of researchers who use the Internet as a key component of a laboratory, one wonders how long the Open Access Culture can be held back. by Shamsa Abdulrasak Read More!